Florence Welch. It was formed in 2007 in London. The band became very popular in the UK, and is loved by media, especially BBC. They helped the rock band to become popular by promoting them as part of BBC introducing. During the last years, the band achieved a lot of success. Florence and the Machine tour dates have been included in such popular festivals as the Coachella Valley Music and Arts Festival. Also, it has some stops in big US cities (Las-Vegas, Miami, Orlando and more). To support their 2018 album “High as Hope” the musicians are going to visit a lot of US stages like Governors Ball Music Festival and much more. 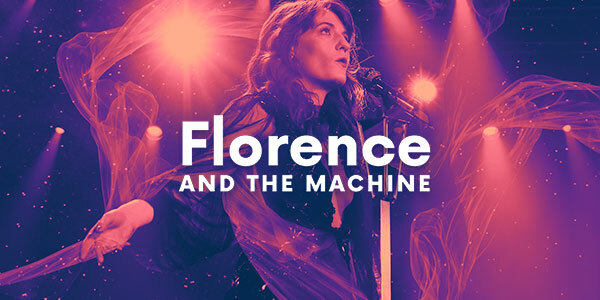 Don`t miss your chance and buy Florence and the Machine concert tickets at EfficientTickets. To band was created by Florence Welch and Isabella Summers. They were friends for a long time. And while being the teenagers, they decided to collaborate and start their own music band. They released their first album “Lungs” in 2009 and it received a lot of recognition from both US and UK fans. All the next albums only strengthen the respect and love from music fans, and made Florence and the Machine tours such a popular event! How Much Are Florence and the Machine Tickets? No matter how much money you make, we will find the tickets that will fit your budget! And if you are lucky enough, you can even get some tickets for sale! How to Get Florence and the Machine Concert Tickets? It`s a very simple process. You go to the “tour” category on our website. Pick the right webpage and press the “buy tickets” button. After that, you will be sent to the page with all the prices and details. We can propose you Korn tickets, Fall Out Boy tickets and many other options. Just check the “tour” category!